MRI Steel Framing, located in Gary, IN, recently added a Bradbury AM400™ structural roll forming line to its line-up of manufacturing equipment. The Bradbury AM400™ is engineered to efficiently manufacture the highest quality commercial structural metal framing products in the building industry. Able to produce roll formed steel framing products up to 10-gauge thickness, and capable of producing a 16” web, 4” flange stud, and a 4” leg track, the AM400™ gives MRI a competitive advantage in the steel framing market. “This machine has provided optimal performance since the initial deployment. We hit the ground running; producing superior parts with minimal scrap. I am confident we will continue to grow our business in the industry with the reliability and durability of this Bradbury line,” stated Mark Krzyszton, Vice-President, Operations & General Manager for MRI Steel Framing. The Bradbury Co., Inc. received a testimonial from a valued customer, Climate Craft, Inc.
"Bradbury engineered our system as a versatile, dual-mode line which allows us to precut blanks as well as postcut short finished parts using a sophisticated double acting shear. With this setup, the overall scrap is exceptionally low, the net throughput is excellent, and the part quality is outstanding. Our final assembled product requires tight tolerance parts. The parts produced on the Bradbury system are held to non-accumulative tolerances which enhance the final assembly. The Bradbury Co., Inc. received a testimonial from a valued customer, Duggan Profiles &Steel Service Center Ltd..
"When we were looking to purchase a new purlin line, our main objectives were to produce a quality roll-formed product from Sigma to Cee sections facilitating all punching and notching details that our customers require; to have a flexible line that would enable us to reduce lead time from order time to delivery time; to link our production line to the customer’s CAD software therefore reducing large amounts of repetitive administration and errors that can be associated with double-entry of orders; and to have the capacity to roll high grade steel from 1.2 mm to 3.2 mm material thickness. 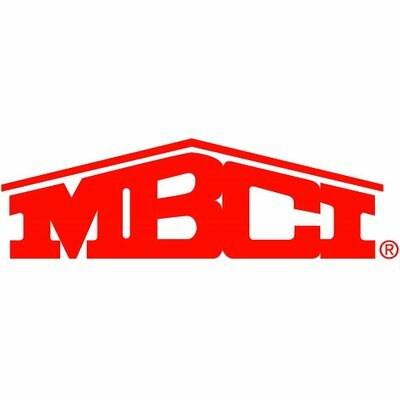 The Bradbury Co., Inc. received a testimonial from a valued customer, MBCI. "Our objective with the QTR™ was to make our changeovers quicker. MBCI went with the Bardie Cartridge™ Adjustment on each of the rollforming stands. This allowed operators to change material thickness without having to adjust the rolltooling manually. As the thicker material enters into each roll station, the compressed Bardie Cartridge™ allows the material to feed through with the correct form. The Bardie Cartridge™ is accurate and repeatable. The rollformer comes with an easy calibration tool which is incorporated as part of the preventative maintenance schedule to check twice every year. The Bradbury Co., Inc. received a testimonial from a valued customer, Centria. "Our NEW Auto Selective Hydraulic leveler from Bradbury is an awesome machine! By running in automatic mode and letting the leveler adjust itself, we achieve an in-house material flatness within ½ an I-Unit or less instead of the usual five to ten I-Units from outside sources. The steel and aluminum sheets from this machine are so flat you can’t physically find material issues. We now have zero problems feeding a production machine that requires sheet flatness to be within .004." The Bradbury Co., Inc. received a new testimonial from Richards-Wilcox. The Bradbury Co., Inc. received a new testimonial from Knight Wall Systems. Kenn Wittenberg stated, "Knight Wall Systems is a family owned west coast manufacturer of engineered rainscreen wall systems. 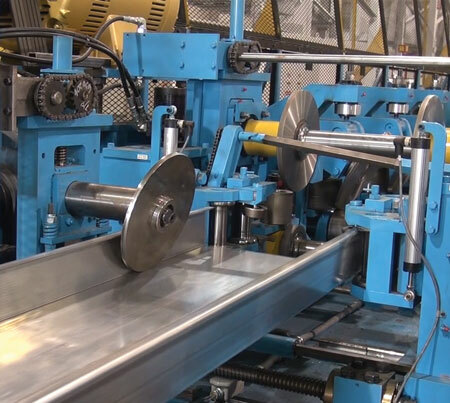 Since we were new to the world of roll forming, we conducted a long extensive search of equipment manufacturers who could develop the custom equipment needed to meet our specific demands & requirements. After completing our long search we only discovered a few that could produce the equipment line we were looking for. With many detailed conversations and plant visits, we finally chose Bradbury. We did this for many reasons naming a few which include the high degree of quality, their professionalism, and the value they bring to the table. Ultimately for us we have a sense of security knowing we have a solid American made roll forming line that has been supported and backed every step of the way! We would recommend Bradbury to any customer looking for a top notch quality machine that will produce a superior product to their competitors. We now are moving confidently forward knowing we have a solid piece of equipment that will help take us to the next level!" The Bradbury Co., Inc. received a new testimonial from Green Span Profiles Insulated Panel Technologies. Kelly Ginn stated, "Embossing is a critical component of our insulated building panel production line. When our rolls and machines were not functioning properly, we enlisted Alliance to diagnose and fix the problem. They ended up doing a major redesign and rebuild which included an extended period of on-site work. I found them to be hard working, knowledgeable, experienced and willing to go the extra mile to keep my line running. When we're ready for additional embosser work or new machinery, I will go to Alliance because they know and understand embossing, engraving, and machine design."